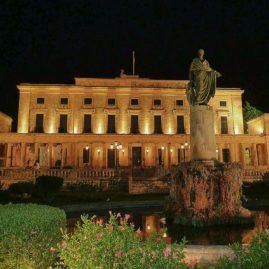 With its unsurpassed natural beauty, and one of the greenest and most fertile islands, displaying traces of its turbulent history, old monuments and places of exquisite beauty, unique architecture and style, Corfu has welcomed visitors long before any of the other Greek islands. 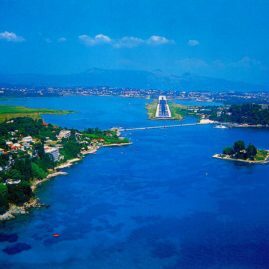 Foreign travelers even earlier than 1900 admired its beauty and by 1950 Corfu was well established as a favorite holiday destination. Many people have chosen it as a second home or decided to live permanently on the island. 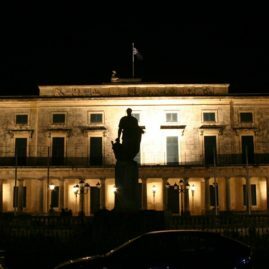 In Corfu you will find holiday destinations with everything, from picturesque mountain villages that look like the time had stopped, to cosmopolitan tourist resorts with large hotels that offer all comforts, places with lively nightlife, huge cosmopolitan beaches and quieter tourist resorts with emphasis on the beauty of the environment. 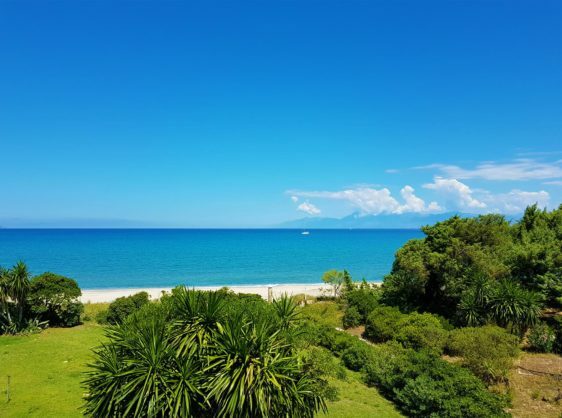 You will visit emerald sandy coves, multifarious consecutive bays with pebbles and crystal clear water, and completely secluded beaches, idyllic places for romantics. 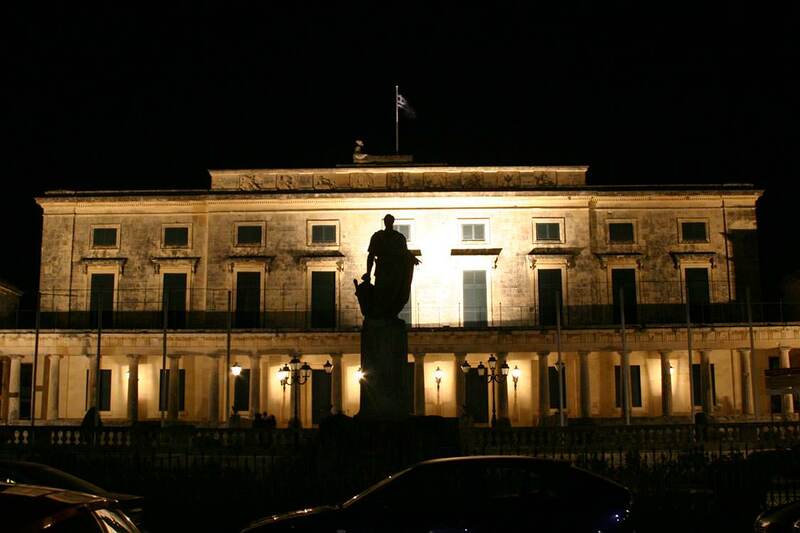 The tourist infrastructure is among the best and largest in Greece with hotels from 2 to 5 stars for everyone, also large number of rooms and other accommodations are scattered throughout the island. 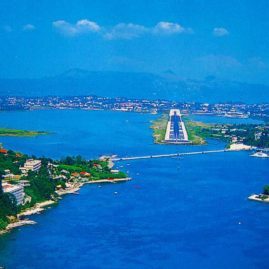 There are numerous holiday resorts and marvelous destinations on this magnificent island suitable for everybody. 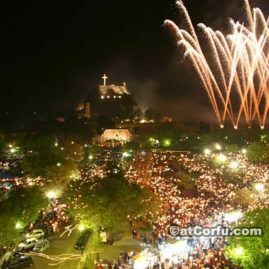 Looking for brief tourist guides about all ? See them all below. 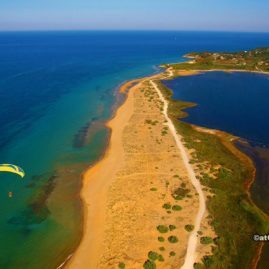 Arillas, Agios Stefanos Avlioton, Peroulades, Sidari with the famous Canal d’Amour, Roda, Acharavi and Agios Spyridon, all these are beaches and tourist resorts. 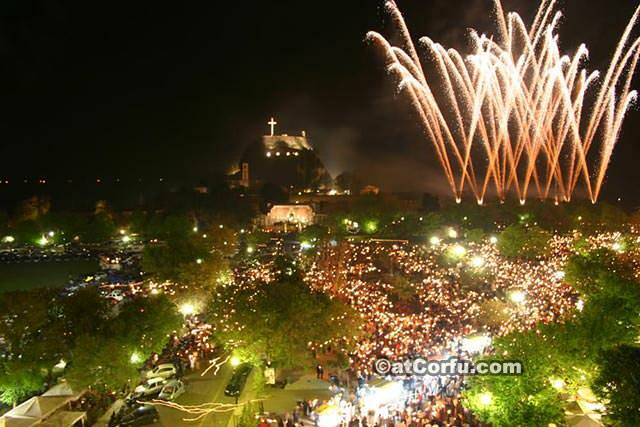 They are followed by the north east villages of Kassiopi, Agios Stefanos, Kerasia , Kouloura, Kalami, Agni, Kaminaki, Nissaki, Barbati. 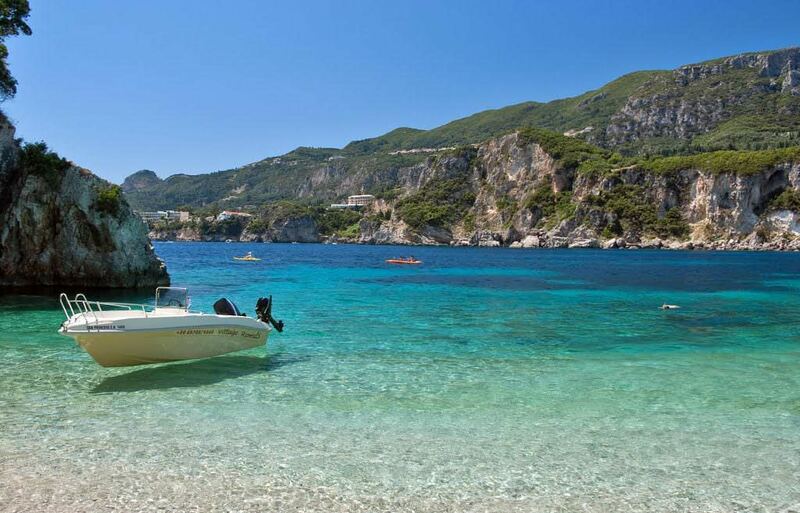 All these are quieter destinations for relaxing holidays with small taverns and many beautiful bays with very clear waters. Going south down the east coast we arrive to Ipsos, Dasia and Kommeno, all cosmopolitan tourist spots, followed by Gouvia, Kontokali and Alykes of Potamos. 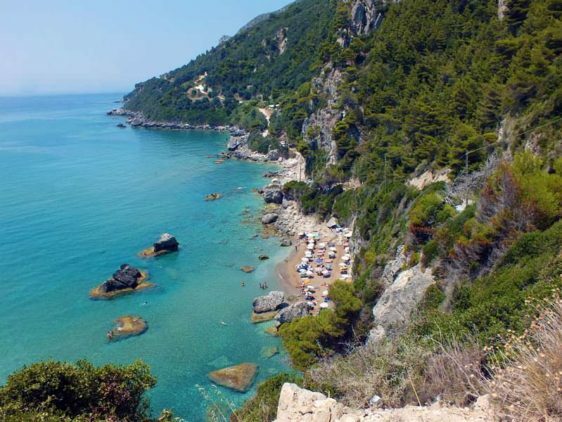 South of the City of Corfu, we reach Perama, Benitses, Moraitika and Messonghi, all of which are large beaches resorts very popular among holiday makers. 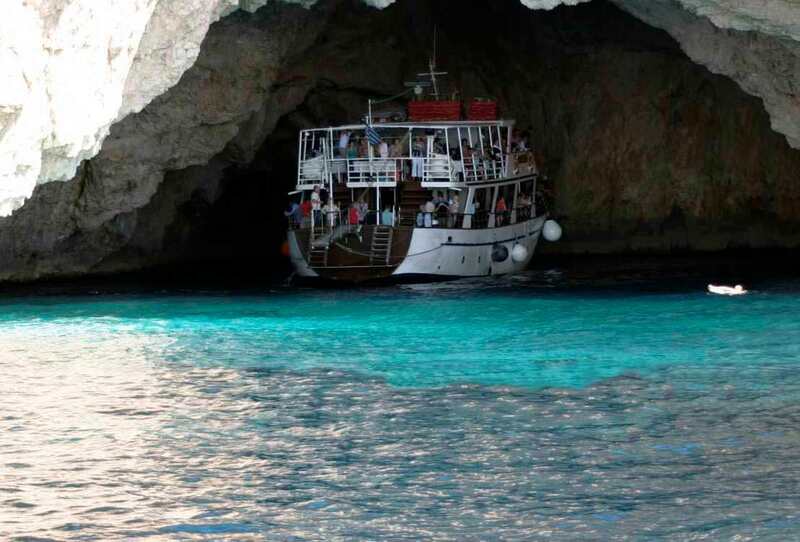 Followed by the fishing villages of Boukari and Petriti, both with tavernas with fresh fish. 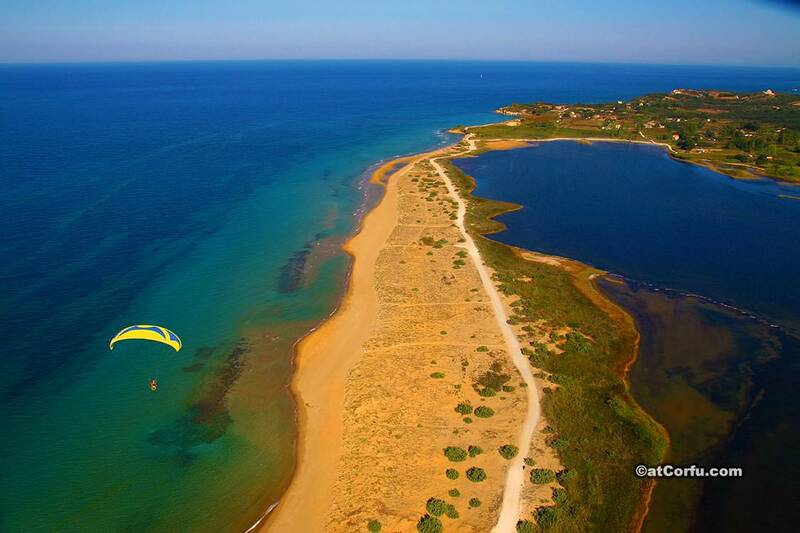 Alykes beach at further south can be visited by boat where there is a sand bank only 1 metre deep a long way out at sea, and a wildlife sanctuary on the shore..
At the southernmost point is Kavos offering lively nightlife for teenagers, such as Laganas in Zante and Malia in Crete do. If you are a bit older we suggest that you visit Kavos only for educational purposes, to see how the very young like to play. During the day though you will probably have the lovely sandy beach almost to yourselves as these visitors tend to only come out at night and party the night away. 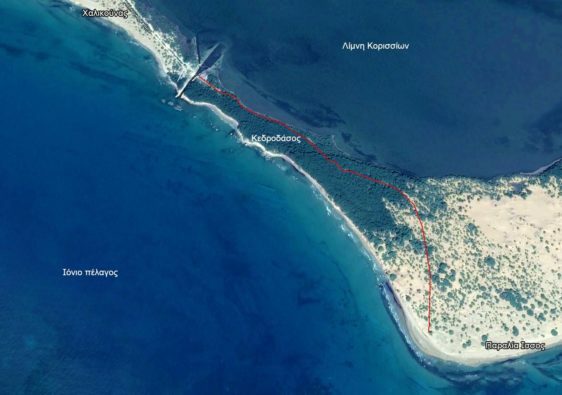 At the west coast from north to south we find places as: Agios Georgios Pagon, Paleokastritsa, Ermones Myrtiotissa (nudist beach,) Glyfada which is very cosmopolitan and always busy, Pelekas and Kontogyalos popular since the arrival of the first hippies, then Gialiskari, and Agios Gordios. 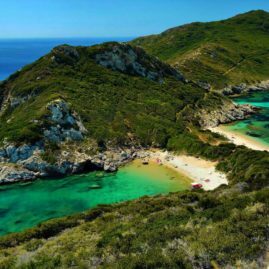 Then come some undeveloped but magnificent beaches such as Gardiki, Alonaki, and the vast stretch of Halikounas and neighboring Issos. 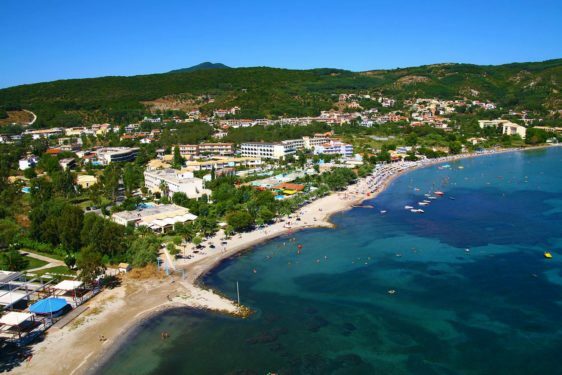 These are followed by the more developed beach resorts of Agios Georgios(St. George south), Marathia and Vitalades, and in the far south are the small almost deserted beaches of Kanoula and Arkoudila. 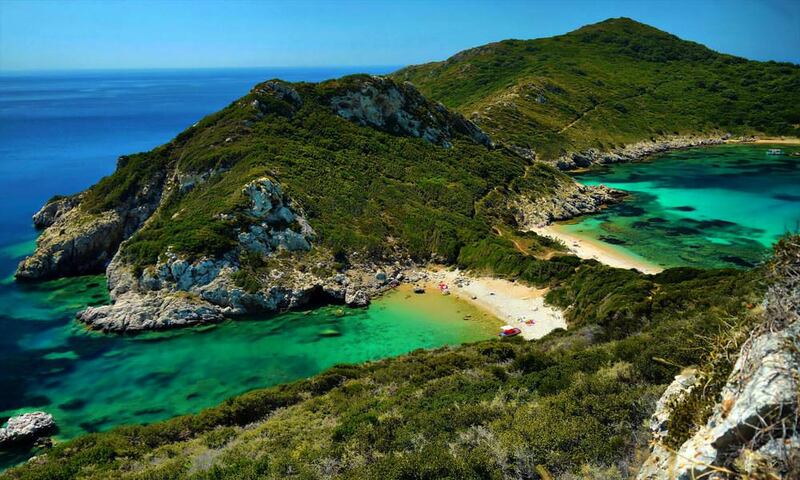 Many of these beaches have been awarded a blue flag because of the purity of their water, These long sandy beaches are among the best in Greece. 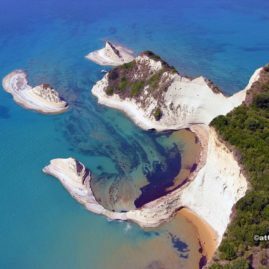 On the island there are also two lagoons, the northernmost lake of Antinioti, and in the southwest is the lagoon of Korission, each with its special biodiversity. 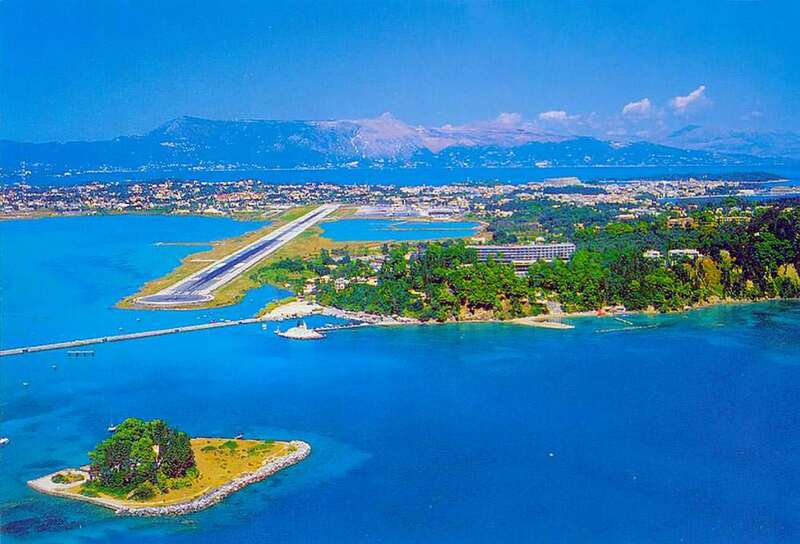 But of course there is no end to what you can see during your holidays in Corfu, even as you land you will probably fly over Pontikonissi (Mouse Island) and the neighboring islet of Vlacherna, just off the promontory of Kanoni. 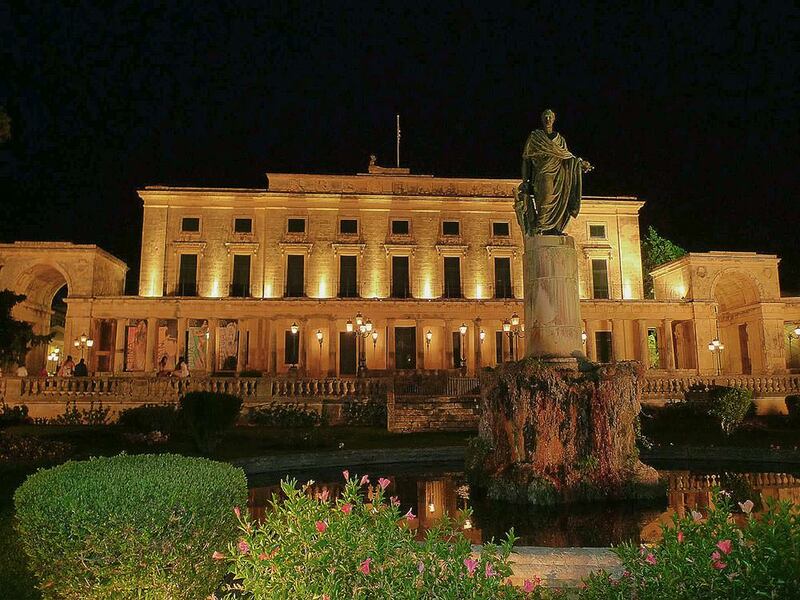 The old town of Corfu, full of vibrant colors and narrow streets between tall medieval buildings, will make you feel like you are in another era. The traditional villages that retain the traditional look are a tourist attraction too, especially attractive in our opinion are: Spartilas and Strinilas at the Mount of Pantokrator, old Sinies village, Lakones above Paleokastritsa, and various other villages of the north west interior. 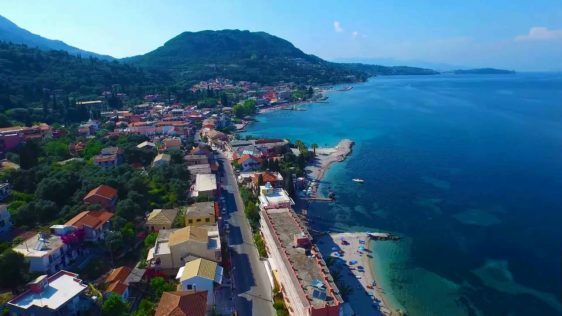 The villages of Stavros and Agioi Deka, near to Benitses are well worth the walk, and old Perithia village is a formerly abandoned village now being gradually restored to life, and in true Corfu style the first buildings to be repaired have become tavernas and cafeneions. 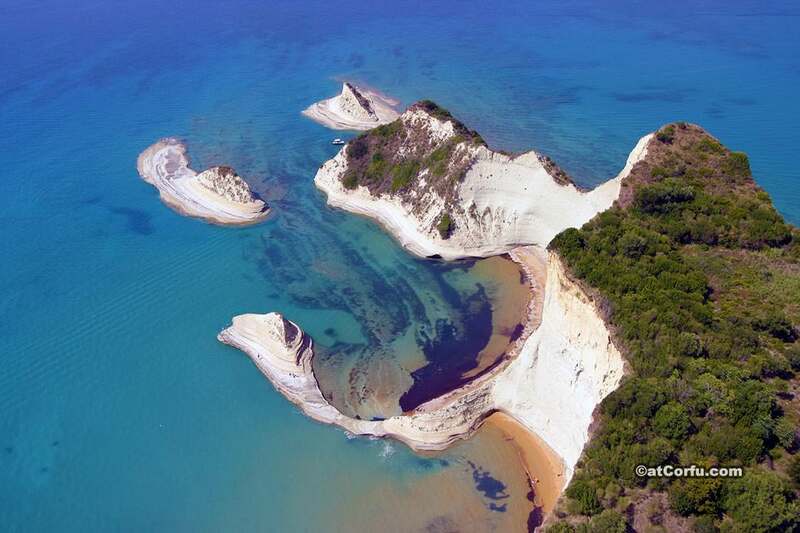 Of course no one who enjoy a holiday in Corfu should miss a visit to Paxos islands. 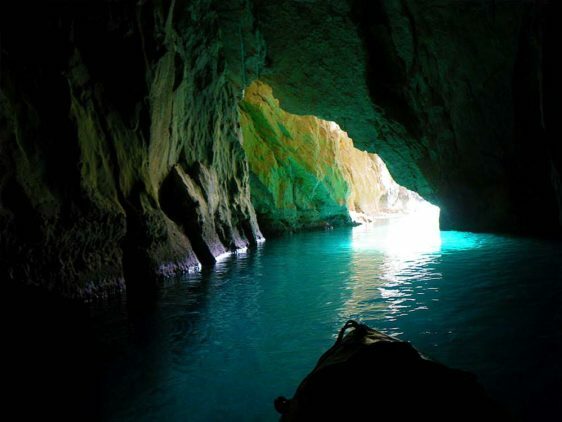 Paxos is an island that has been called one of the 20 most beautiful islands in the world, where among other things to see are the huge sea caves with turquoise waters, far larger and more beautiful than other similar Ionian islands caves. 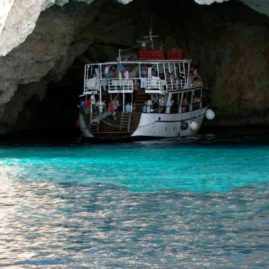 Also a visit on the northern Diapontia islands, Othoni, Erikousa and Mathraki respectively, is a real experience, and gives the visitor a chance to glimpse another world, with a slower pace of life – a fascinating world to discover. 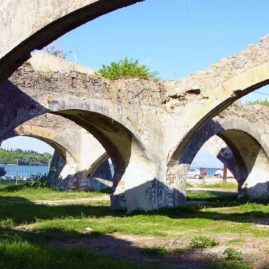 There is also the island of Vido, opposite the old port of the city, a small paradise in an area of only 540 acres, the island is sacred to Serbs as there is a Serbian war cemetery there, containing the bodies of 1st World War soldiers. 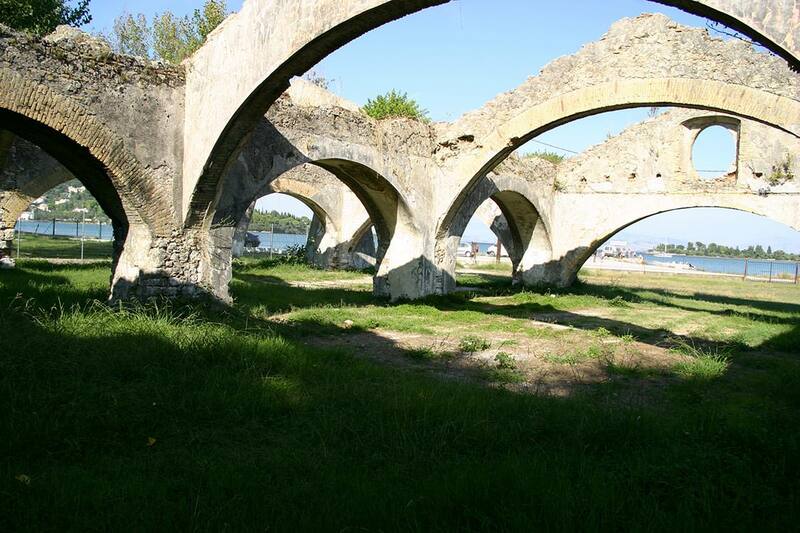 On the island there are no roads, but just trails for walkers, a restaurant and bar, a pleasant beach popular with the townsfolk, camps for children and young people, and the historic restored church of Saint Stefanos. 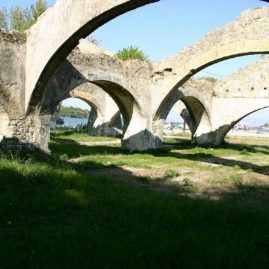 There is a legend that Vido island used to communicate with the old fortress through an underwater tunnel built by the Venetians, we do not know if this is true, but the Venetians had the ability to do it, since underground tunnels linking the two fortresses of the city do exist but sadly are not accessible to the public. 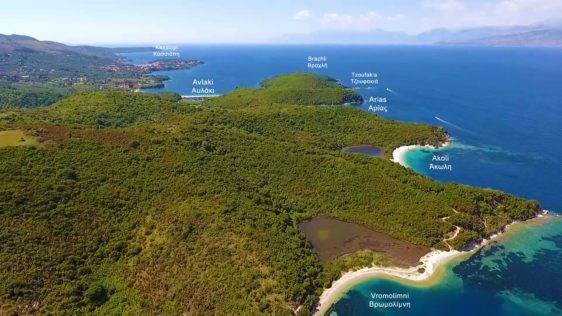 The name of the island is not Vidos as incorrectly reported by many, but “the island of Vido” and takes its name from a former owner called Guido Malipieri, Guido was simply paraphrased to Vido. 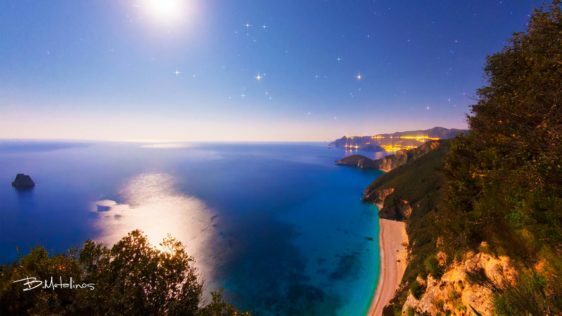 In Corfu island there are places with nightlife for every taste, fun purely for young people both local and tourists, and night life for purely Greek tastes. These places are mostly in the north of the city, but everywhere you will find bars for those who love good music and all kinds of restaurants offering culinary treats. At Kaizer bridge for example there is a restaurant where you can eat your dinner on a platform built out over the sea. Using a car is not essential, although it can be very useful if you want to see as much as possible. 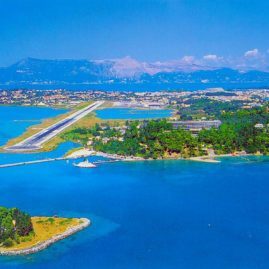 Whatever your tastes are, Corfu certainly can be your favorite Holidays destination, Corfu is an island of huge interest and endless natural resources, an island that offers high quality holiday standards in a variety of locations with natural beauty. 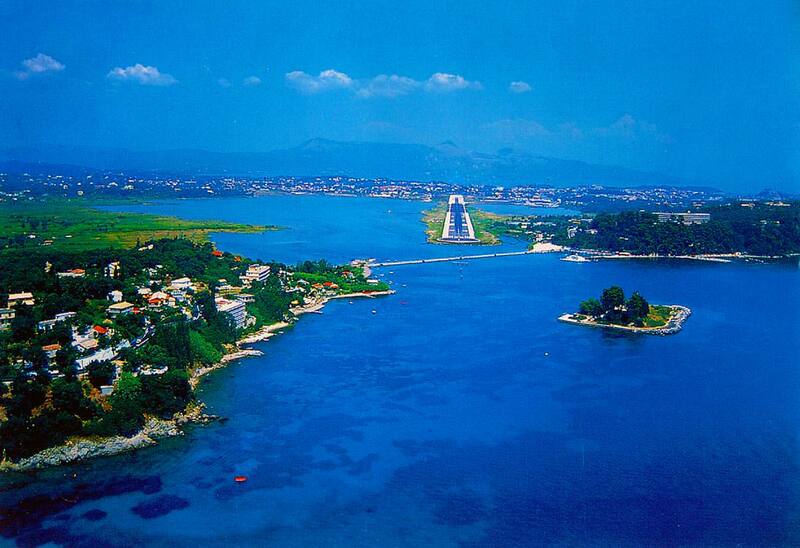 Lefkimi is Corfu’s second largest town and is a joy to explore. 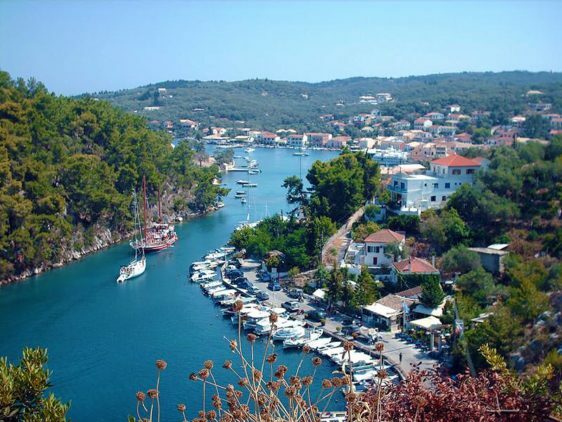 Of course no one who is in Corfu should miss a visit to Paxos.